Project Details: Robin along with her husband Shane, owner of Ridgeview Construction, recently built their dream barn. They were in search of the perfect stalling equipment to finish out their interior. 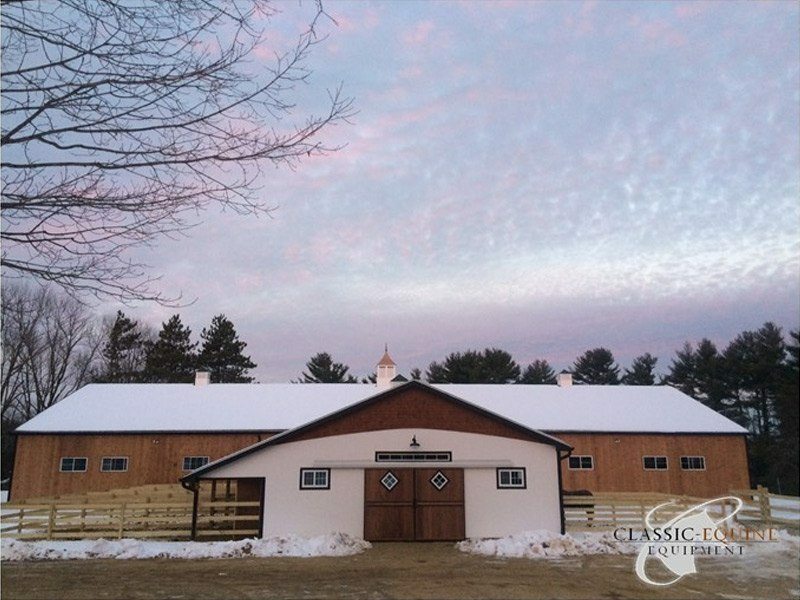 Their post and beam style barn was a great fit for Classic's Kimberwick stall design. The end result couldn't have turned out better! Product Specs: With the design of the barn in mind, the Kimberwick Stall Front was selected. The Kimberwick combines the elegance of our Classic European stalls with the economy of our component type stall system. The flexibility of this stall design allowed the customer to utilize existing posts for a 10' stall front. To maximize air flow and circulation in the stalls, a full grill door was added to the front. 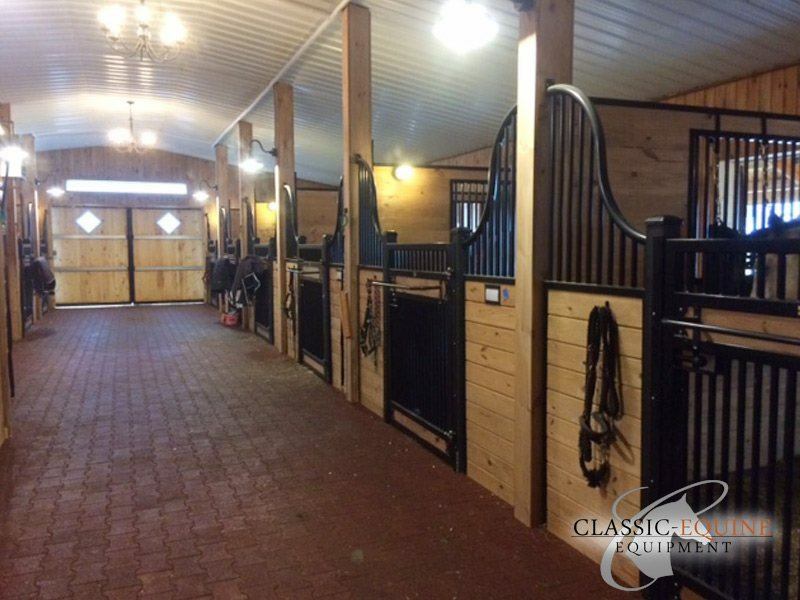 Classic Equine Equipment would like to thank Robin and all involved for allowing us to be a part of this beautiful barn!